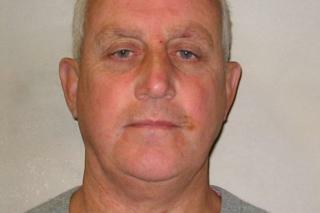 Daniel Jones was a member of the gang that stole some One of the ringleaders behind the Hatton Garden raid has been given additional jail time for failing to pay his confiscation order.Daniel Jones, 63, has been sentenced to a further six years and 287 days for failing to pay back ?6,599,021.He was a member of the gang that stole some ?14m of goods after drilling into a vault at London's Hatton Garden Safe Deposit in Easter 2015.Jones received his additional sentence at Westminster Magistrates' Court.The 63-year-old, from Enfield, was originally jailed for seven years in March 2016 after admitting conspiracy to commit burglary. In January, Jones and three other men were ordered to pay a combined ?6,396,273 between them after it was found they benefitted from an estimated ?13.69m worth of stolen cash, gold and gems.The gang was also ordered to each pay an extra sum depending on their personal circumstances.The raid has been branded the "largest burglary in English legal history" with some two thirds of the valuables taken believed to remain unrecovered.Heather Chalk, specialist prosecutor at the CPS, said Jones had "gained millions of pounds of criminal cash" from the burglary. "In January, the CPS showed the court that Jones had the funds to pay back his ill-gotten gains and today we have successfully argued that his default sentences should be activated," she said.